Product prices and availability are accurate as of 2019-04-15 02:41:42 UTC and are subject to change. Any price and availability information displayed on http://www.amazon.com/ at the time of purchase will apply to the purchase of this product. Tired of hunting for just the right color when painting your craft and hobby projects? 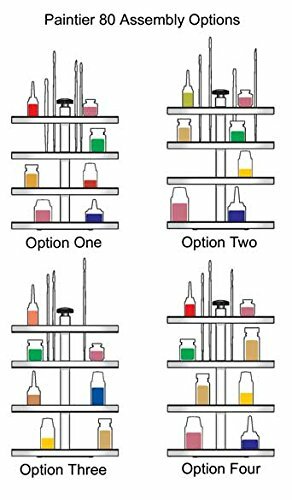 Are all those little paint jars cluttering up your life? 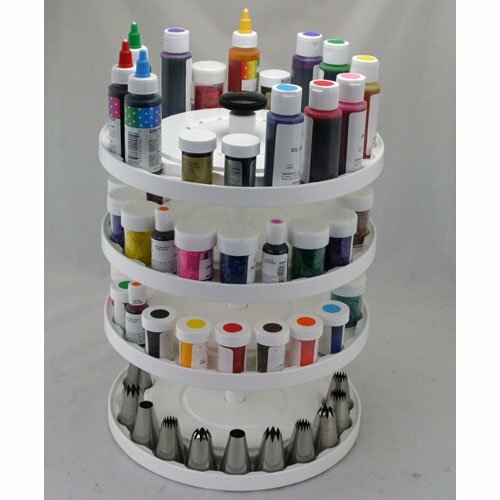 Get your workspace organized with a fully revolving, easy to spin, paint bottle carrousel. Designed specifically for the hobbyist, this product holds most brands of craft and hobby type paint bottles in easy to see and find tiers. 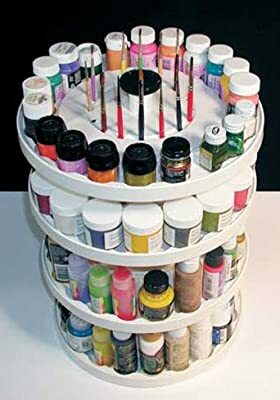 It also holds up to 16 craft and hobby style paint brushes. 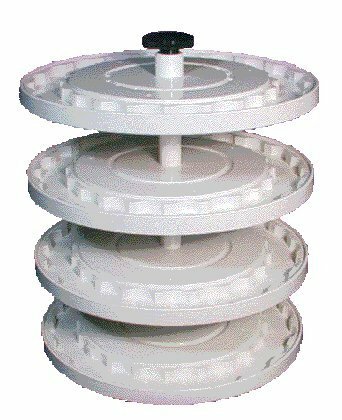 holds 16 large, 20 standard, or 30 small paint bottles per tier. Different bottle sizes and brands can be combined.